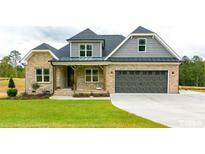 Below you can view all the homes for sale in the The Glens At Bethel subdivision located in Garner North Carolina. Listings in The Glens At Bethel are updated daily from data we receive from the Raleigh multiple listing service. To learn more about any of these homes or to receive custom notifications when a new property is listed for sale in The Glens At Bethel, give us a call at 919-759-5754. Presale listed for comps purposes... construction to start soon MLS#2234178. 4852. PreSale for comp purposes. MLS#2234164. 4852. Off of the garage entry you have a generous mudroom and laundry room.The second floor is wide open for future living space. Let your imagination run wild. MLS#2226601. 4852. 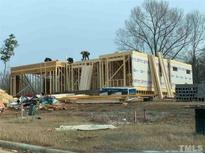 Located near the White Oak shopping Center & Centennial Park. MLS#2207806. 4852. All brick gem to enjoy from screened porch. MLS#2207872. 4852. Spacious master retreat with Spa Oasis & generous closets. Huge bonus & secondary bedrooms. MLS#2207797. 4852.